Serveon’s products represent the leading edge in sealant technology. Whether its penetration, bonding, repellence, beading, consolidation or long lasting protection, you can be assured your customer is getting the very best. Serveon products are formulated to make application easy, forgiving and time saving. 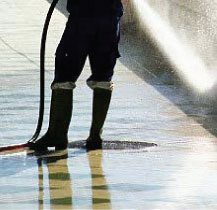 For example, our products are formulated for fast penetration and surface drying allowing traffic usually in less than 60 minutes; in most instances a substrate can be power washed and sealant applied in the same trip saving time and money. Every customer is unique. Some prefer a matte finish with no change to the substrate color, some want to keep the natural look but slightly enhance it to bring out stone colors, some want a wet look with a matte finish, some prefer a wet look with a glossy finish and still others would rather have a wet look with a low sheen finish; whew, there can be a lot to meeting customer expectations. At Serveon we have focused on giving our professional customers the products they need to meet customers’ expectations. We believe Serveon’s customer support is a competitive advantage. Our customer service begins before, during and after the purchase. It is an integral part of our organization. Our customer support begins assisting the customer in making a cost effective and correct selection of a product and can extend to training, application, maintenance, and trouble shooting. We know that customer support is a major driver of our customers experience and that the line between products and services is blurring; at Serveon customer service has become part of the product itself. Our professional customers depend on us to provide state of the art sealing products and exceptional customer service and support. 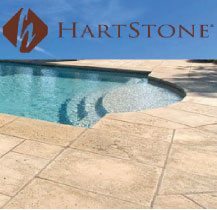 Hartstone LLC is a manufacturer of handcrafted, concrete tiles that rival the look of ancient lime- stone and concrete pavers. Serveon’s products are used on every job they do - and because they are, Hartstone gives a life time warranty. "We have been using the Serveon’s products for over three years with great success. We had been searching for a product that did not change the color of our tile and Serveon’s products were perfect. Very easy to apply and shed water beautifully." Todd Hart, Louisville, Kentucky. We have too many professional sealing company customers to highlight just one; professional sealing companies play a big role in Serveon’s business and we are pleased to say our list of professional installers continues to expand. Professional sealing companies treat every type of stone and substrate in every circumstance possible ranging from commercial buildings and pool companies to residential homes. Serveon’s product solutions continue to be innovative and reliable providing customer satisfaction and repeat business for our professional. Pool contractors get new customers based on their reputations and referrals. The sub-contractors and products they use must meet exacting standards for quality and reliability. The last thing they want to have happen is a failure or have constant call backs from dissatisfied customers. 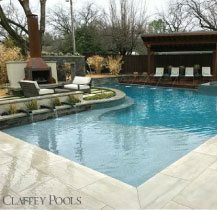 We are pleased to have many award-winning pool companies, including Caffey Pools, as Serveon customers. Serveon has special pricing programs for its professionals. In addition, Serveon has designed a rewards program to give dollars back to the loyal professionals that use Serveon’s products. Uniquely this program does not inflate the selling price to compensate for the rewards. To find out more about our programs, please fill in the information below.